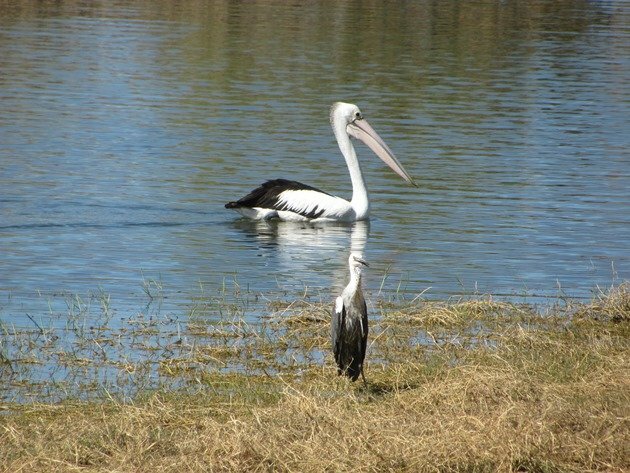 Lake Corella was formed in 1959 when the Clem Walton Dam was built to collect water for the mining town of Mary Kathleen and is now a popular camping area, especially in the height of tourist season in the cooler months. 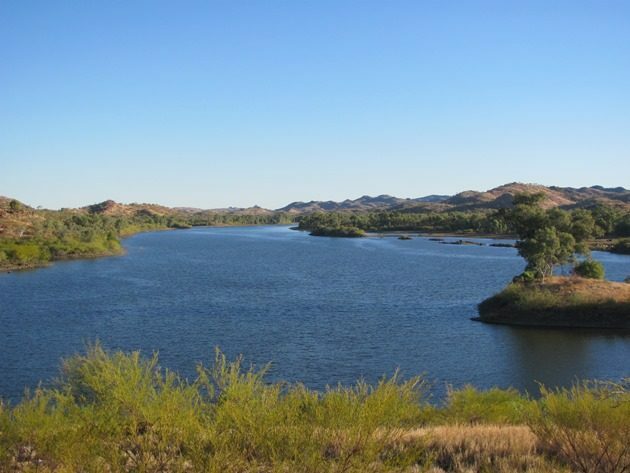 It is situated about 50 kilometres/31 miles west of Cloncurry and the council is in the slow process of buying it from the government for $1! Travelling with just a four-wheel drive we are able to get away from the crowds and especially those towing large caravans and we could position ourselves with excellent views of Lake Corella and watch the birds from our grassy patch by the water. As you can imagine there were a good variety of waterbirds and shorebirds including Australian Pelicans, Australasian Darters, Australasian Grebes, Great Crested Grebes, Little Pied Cormorants, Pied Cormorants, Great Egrets, Black-winged Stilt, Masked Lapwing, Black-fronted Dotterels, Straw-necked Ibis, White-faced Herons and White-necked Herons. Little Black Cormorants actively swam around near our campsite catching fish and Caspian Terns were a common sight throughout the time we stayed there. A flock of Black Swans came in briefly early in the morning and then left and could have easily been overlooked if you were looking the other way! Silver Gulls are not restricted to the coast and were also present. 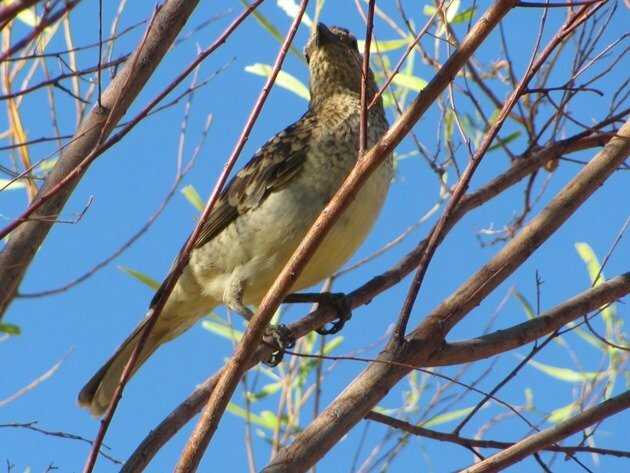 There were plenty of passerines among the bushes and trees when we wandered the edge of the lake including Yellow Chats, Jacky Winter, Brown Honeyeater, White-plumed Honeyeater, Singing Honeyeater, Yellow-throated Miner, Zebra Finch, Red-capped Robin, Restless Flycatcher and Spotted Bowerbird. 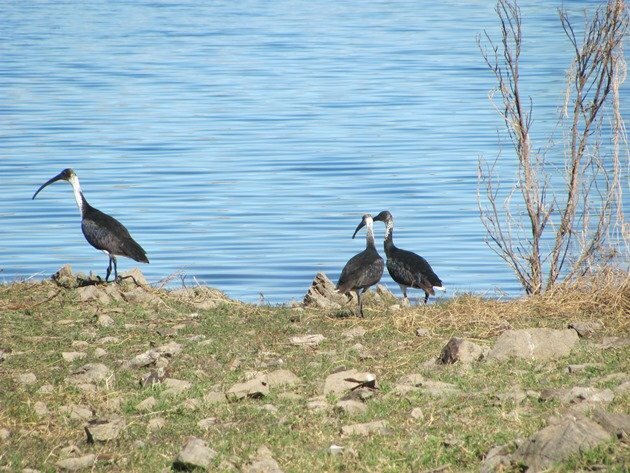 A family of Black-necked Storks appeared to have recently bred in the area and had not quite fledged. 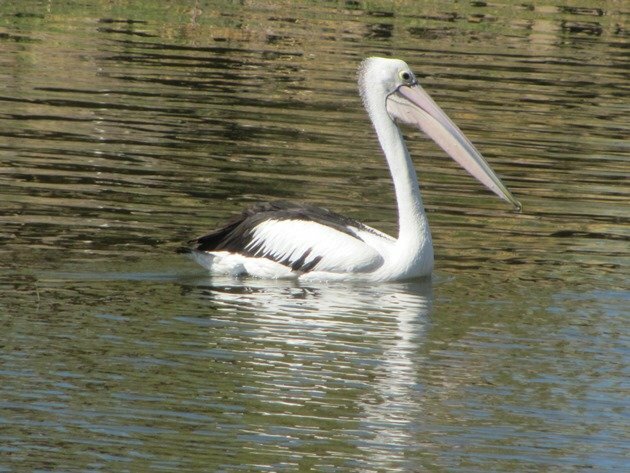 Raptors were represented by Black Kites, Whistling Kites, Australian Hobby and White-bellied Sea-Eagle, but there was only one species of duck during our visit and that was the Hardhead. Despite the name of the lake there were no Little Corellas present during our stay, but there were the noisier Sulphur-crested Cockatoo! We discovered that most people were there to catch and eat red claw, which is a freshwater crayfish and they were definitely thriving in the lake. 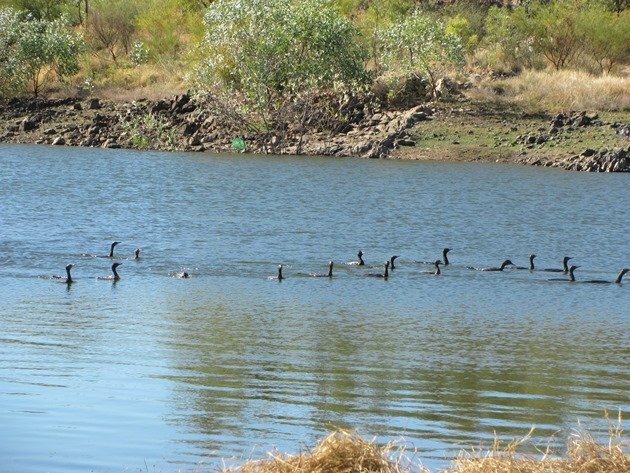 Corella Dam is a beautiful place to camp and offers a good variety of birds. During heavy rain events you must be prepared to leave with little or no notice, but that was not a problem during our stay! What is the National Bird of Estonia?